Increase the speed and accuracy of payroll preparation and improve wage and hour compliance. For information about ADP and the products and services we offer, contact us. 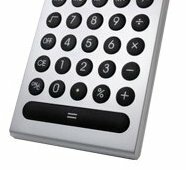 Use our calculator to determine the total annual estimated savings your organization could realize after switching from a manual to an automated time and attendance solution. Fill in each of the fields with the values for your company. Let us know where to email your results, then click CALCULATE SAVINGS. Important Note: The calculator on this page is designed to provide general guidelines and estimates. It should not be relied upon to calculate exact values. It is not intended to provide legal advice and does not represent any ADP specific service or solution. The values presented by this calculator are also dependent upon the information that you provide. We value your privacy. Your information provided above is solely used by ADP Canada.